Are you sure you want to remove The complete poetry from your list? 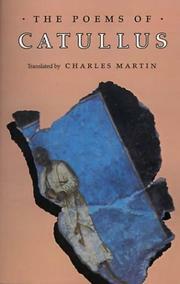 The complete poetry: a new translation by Frank O.Copley. Complete poetry. : A new translation with an introd. by Frank O. Copley. November 23, 2012 Edited by 188.120.237.121 Edited without comment.